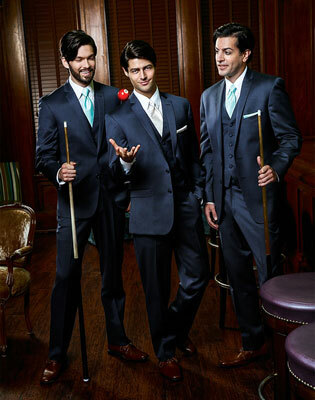 Savvi Formalwear is Minnesota's premier provider of men's formalwear. We have a staff of certified formalwear consultants ready to assist brides and grooms in coordinating the perfect look for your wedding day. We are also pleased to offer photography, videography, DJ, and photo booth packages. We try to make getting married as easy as possible for all of our wedding customers. Close to Home Savvi is local to Minneapolis/St. Paul and because of close proximity to our customers we offer unique services that big box retailers cannot. Our processing center is located in a Northern suburb making it easy and convenient to get our orders to our stores. Special Services We encourage the groom to try-on his entire wedding tuxedo prior to making his final decision with a FREE groom's preview. We can easily accommodate last minute changes for your wedding and we purchase our merchandise to accommodate the local needs of our customers. Nationwide Network We have a nationwide network of over 400 stores is prepared to assist your groomsmen, ushers, and family members with out-of-town fittings, while our local production facility carries thousands of tuxedos, here in Minnesota, ensuring everyone looks their best on your wedding day. Designer Styles and Colors Savvi offers you hundreds of the latest designer styles, including Michael Kors, Allure Men, Ike Behar, Joseph Abboud, and more. 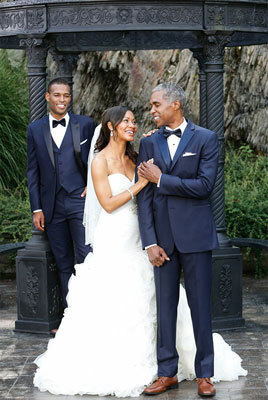 We cover every size possible for your wedding, including slim fit, athletic cut, and classic cut. We know what is on-trend for weddings and can help you find the perfect look from an outdoor barn weddings to an urban oasis. Whether you’re looking for a classic black tuxedo or are looking to go a little more trendy with grey or navy blue, we have you covered! Need to match your groomsmen’s vests and ties to a bridesmaid dress? We carry all of the latest popular colors and work with many dress designers to make sure we have the perfect match! You’ll always find the latest colors and styles in our stores. All of this, coupled with our commitment to service, will ensure perfection for your special event. 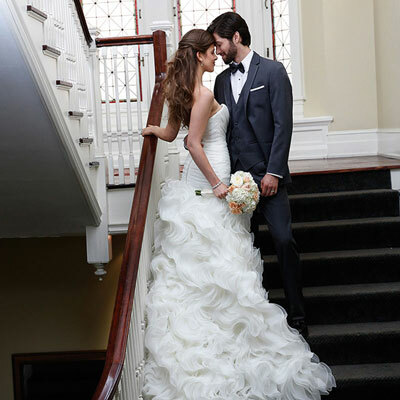 Savvi Formal Wear is more than a wedding tuxedo rental shop. You can depend on Savvi to make you look your best for any formal occasion. © 2019 The Wedding Guys, Inc.